Looking ahead of the IMSA WeatherTech Sportscar competition at Long Beach this April, Chip Ganassi Racing keeps strategy at the forefront of its modus operandi. 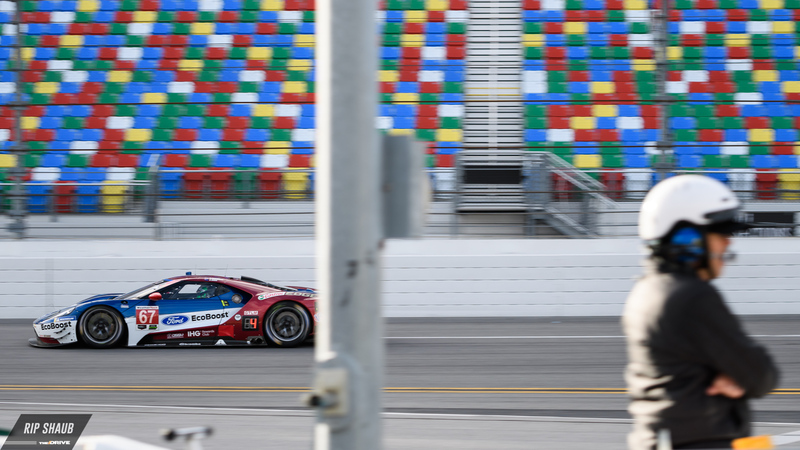 The Ford-backed team displayed exceptional execution of that process at Daytona and completed the 24-hour race at the top with second-place in tow as well. Sebring brought about some technical issues that ultimately landed the American crew outside of the rostrum but as the No. 66 and No. 67 Ford GT twins approach the 100-minute Californian race this month, reprisal is within reach. CGR Managing Director Mike Hull says that racecraft will be the key for victory at the upcoming contest, and as 2017 proved, the unexpected is always welcome at the crowded city circuit. Ganassi and co. finished second in last year's Bubba Burger Grand Prix as a final-moment crash caused blockage on the last turn leading into Shoreline Drive, and ultimately, the finish line. While Corvette Racing nabbed P1, the No. 67 Ford was narrowly behind it and came away with a podium yet. Reflecting on the ever-present challenge with the GM-ran squad during an interview with The Drive, Hull said, "Based on the success and length of time they’ve had that success, that’s what you want to achieve. You want to race with people like that, but not necessarily against them." Hull's IMSA crew, one of many under his wing which also covers Ganassi's massive IndyCar presence, has fared well in short sprint races in the past. Accompanying its second-place finish at Long Beach last year, CGR also placed second at Virginia International Raceway and fifth at Lime Rock in 2017. It's because of well-rounded efforts like these that the team has found such success in the realm of sportscar competition. When asked what approach the Boys in Blue would be taking to improve on their most recent result at the event, Hull noted that success is underlined by proper timing—and plenty of luck. "Prototypes will likely pit twice, but in GTLM, it could only require one stop if you do it right," according to the 26-year Ganassi team veteran. Building on that by mentioning the lack of GTD competitors on the grid, Hull continued by saying that the culled field "changes the nature of the race." But just because the race will be down a class this year doesn't mean it'll be any less testing. BMW is getting into the swing of competition with its new M8 GTE racer, and Porsche proved last month that its world-class 911 RSRs are capable of winning races. According to Hull, that's the benefit of competing in a field full of factory aid, describing a perfect scenario of sorts. "What’s so fun about GTLM is that you have manufacturer support, professional drivers with experience, managed and ran by professionals in the pits." 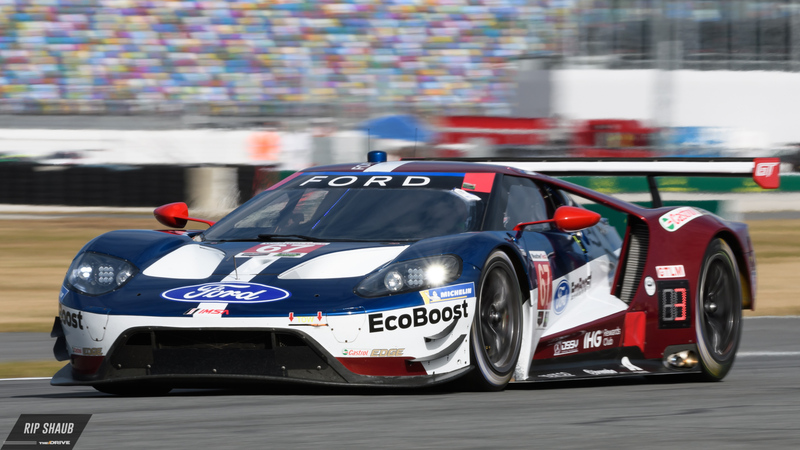 Collectively, the driving team of Dirk Mueller, Joey Hand, Ryan Briscoe, and Richard Westbrook will be seeking out the fulfillment that it lacked after leaving March's 12 Hours of Sebring emptyhanded. Their efforts will assuredly be backed up in the paddock with the likes of Hull and Mr. Ganassi himself calling the shots. In conclusion, the crew will work towards a thorough delivery and, perhaps more importantly, hope for a heavy dose of good fortune.